Season chicken with salt & pepper, drizzle olive oil over chicken and add garlic. Toss together. Take chicken and lay onto baking dish. 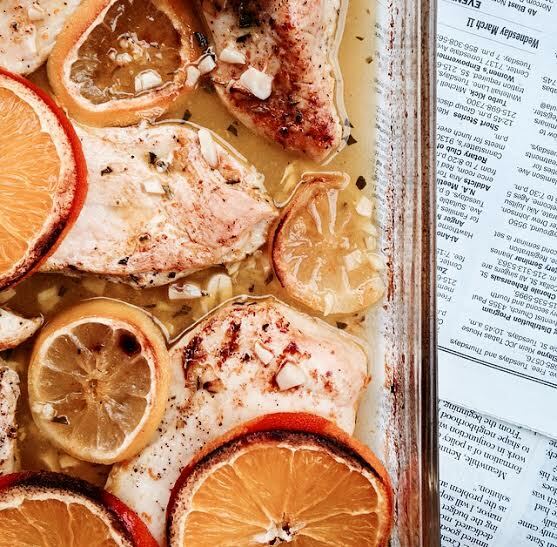 Sprinkle thyme over chicken and lay slices of oranges and lemons on top of chicken. This looks delicious! I love how quick and simple it is, too.